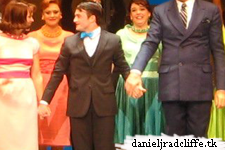 After How to Succeed in Business Without Really Trying's first preview: the first reactions and photos. Update: 29th January 2016. Ellen Harvey shared this tbt photo of her and Daniel backstage after the preview. jyn326: @H2SBway Intermission. Loving it!! Daniel Radcliffe is such a great leading man. So happy to be here at the 1st preview! Nycbrent Wow.... His big dance number was AMAZING!!! Great job DanRad! @H2SBway welcome BACK to Broadway!!!! 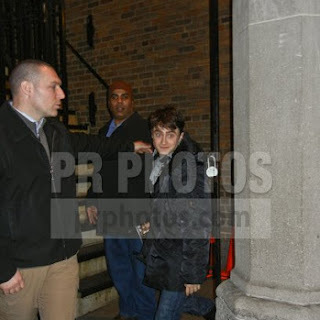 GreenGamine Daniel Radcliffe just KILLED IT on his opening night in @H2SBway. The boy is a born hoofer. Who knew?